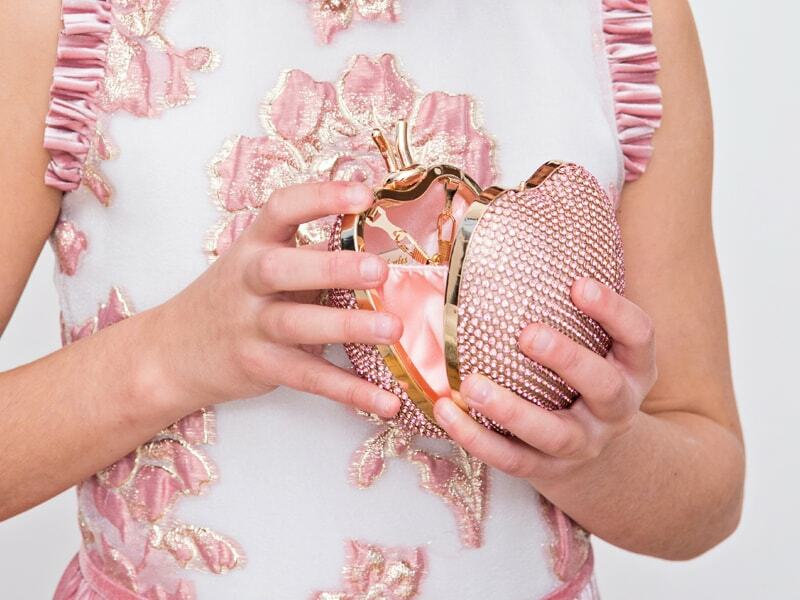 Fall in love with our elegant pink jewel bee clutch bag. 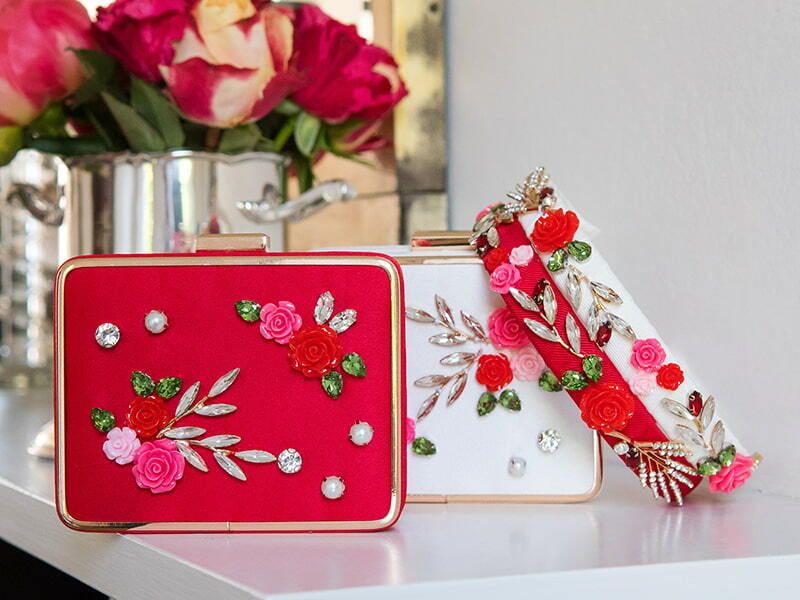 Artfully embellished in a stylish box silhouette, now your girl can accessorize her favourite party outfits with a polished finishing touch. Whether she has a wedding, birthday or a dinner date on the cards, this pastel pink edition will elevate her day to evening look every time. Our box-shape clutch offers a precious bumblebee design for a cute but sophisticated twist with glistening accents. Note the gold outer details and detachable shoulder chain. Includes a snap clasp closure. Elevate your angel’s evening look with our embellished royal blue dome bag. 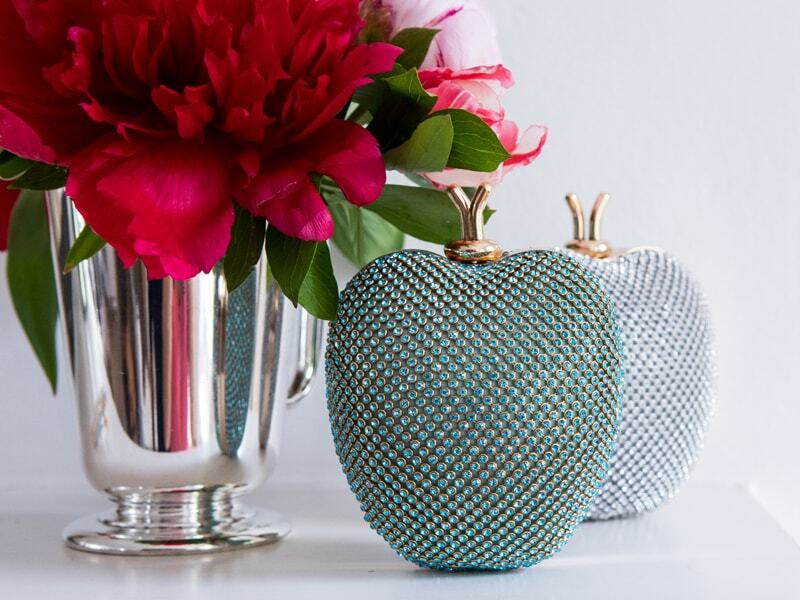 Designed with special occasions in mind, this charming clutch is sure to lend a polished finishing touch to her party outfit. 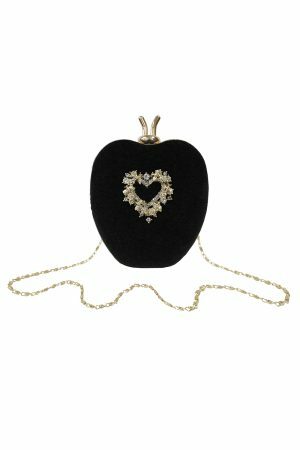 A gorgeous accessory for her next pageant, communion or wedding event, watch as your little one celebrates in style. This handcrafted bag offers a royal blue colourway with a smooth velvet finish for the ultimate statement look. With a vintage dome silhouette and seasonal design, note the twinkling gemstone and pearl accents which add instant couture appeal. 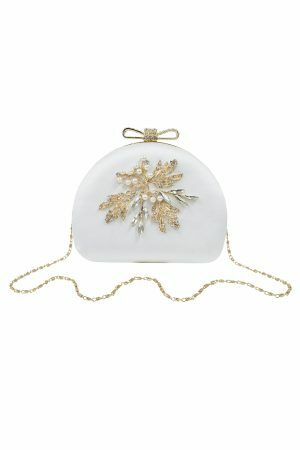 Details include a jewel-encrusted bow clasp and detachable gold shoulder chain. Magnetic clasp to fasten. Give your girl’s style a floral makeover with our ballet pink rose garden gown. Exclusive to David Charles, this vibrant piece is an absolute must-have for her special occasion collection. Perfect for weddings, birthdays and pageants, your sweetheart is sure to feel like a princess in this colourful gown. Available in a ballet pink palette with a soft satin finish, this designer dress has a slight empire waist with a fit and flare silhouette your angel is sure to love. 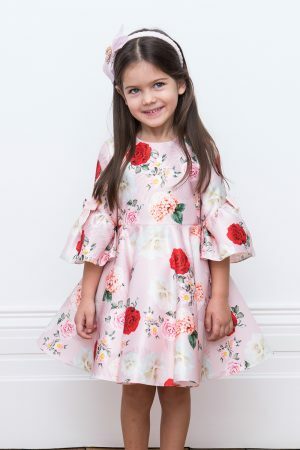 Our charming rose garden design lends instant couture appeal, while fluted sleeves adorned with pretty bows will take your little one’s look from day to evening in a heartbeat. Includes a concealed zip to fasten. Let your girl reign like a fairy princess in our cream floral ball gown. Exclusively yours, this new season number is designed with her most opulent occasions in mind. Available in an elegant cream satin with colourful accents throughout, this girly gown is sheer perfection. With a bespoke motif inspired by jewels and a floral bouquet, this polished piece offers a soft silhouette and sequined top bodice and puffed balloon sleeves for a stylish update on traditional ball gowns. Note the empire waist to complement your angel's finished evening look. Includes a concealed zip fastening. Sprinkle your girl's party look with love with our black satin heart gown. Exclusive to David Charles, this gorgeous gown is style perfection. Available in a luxurious black satin fabric with tulle layers to add dramatic appeal, your teen can be sure to fall in love with this fabulous fit and flare edition. And with soft waterfall pleats to the front and back, this is the ultimate little black party gown. 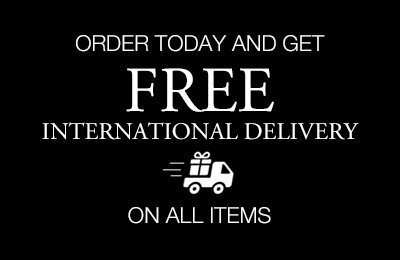 So whether your daughter has a festive gathering or a special party invitation, see that she arrives in first class designer style. Details include an elegant waist ribbon adorned with a dainty row of gold hearts for a show-stopping finished occasion look. Concealed zip to fasten. Make a sophisticated statement in our pearl blue ball gown. Yours to treasure, this elegant gown is sure to deliver artisan appeal ready for the new season. 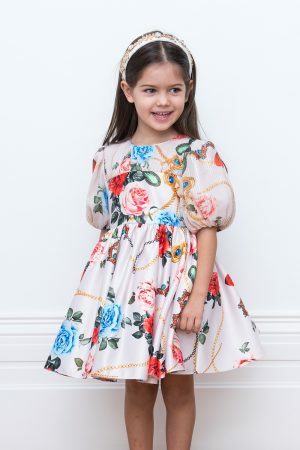 A perfect fashion choice for weddings, parties and theatre evenings, watch as your little one showcases optimum elegance in time for her next special event. With a pearl blue palette and iridescent motif inspired by foliage, this dream girl’s gown offers exquisite details from every angle. Available in a timeless ball gown silhouette with gathered puff sleeves, watch as your girl parades just like a princess. Details include a jewel-adorned bow on each sleeve and soft layering to complete her head-to-toe couture look. Includes a concealed zip to fasten.